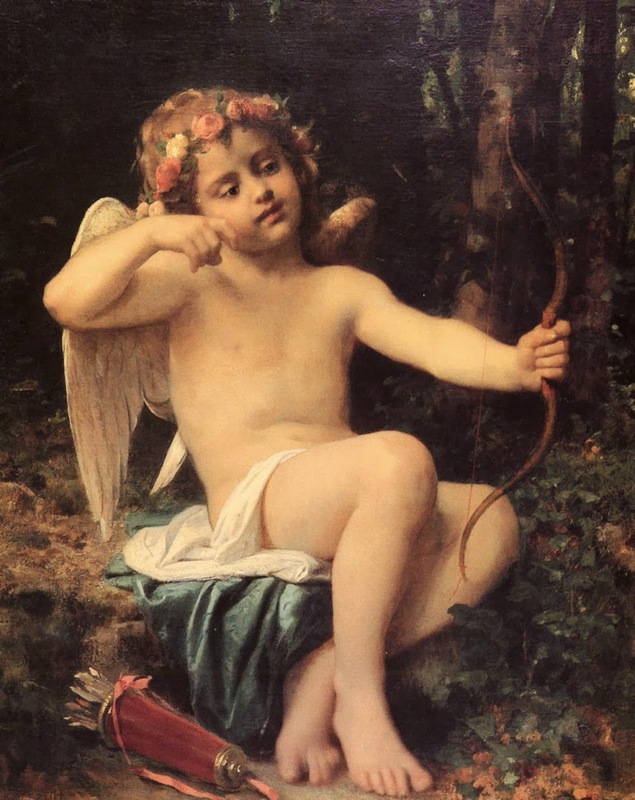 Cupid has always had the privilege of spreading love through his arrows. 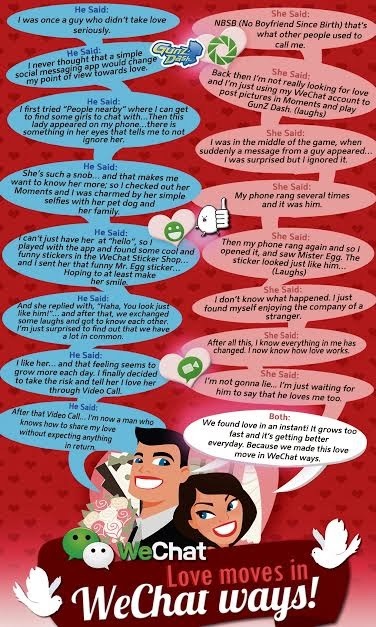 This Valentine season, he gets to have some support through the power of technology via WeChat, the most downloaded social mobile app of today. 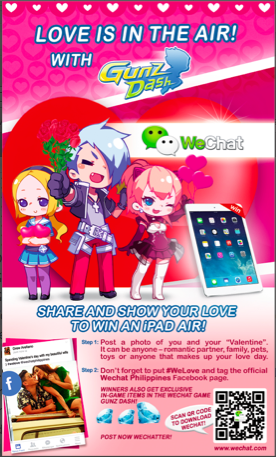 How does WeChat intend to shoot its love arrows with Cupid? 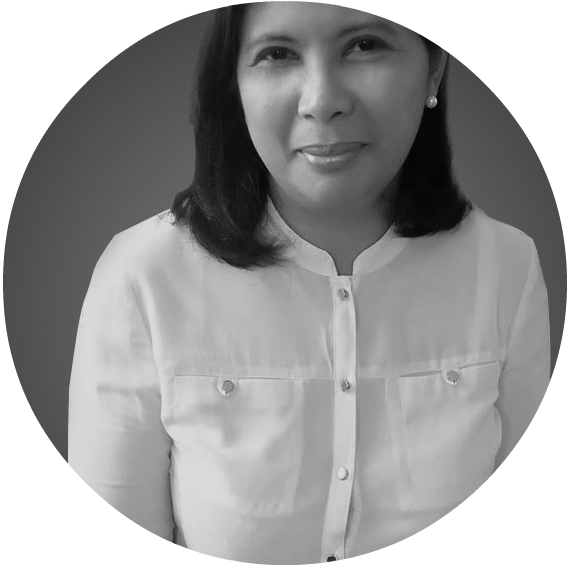 Why, by its innovative features of course, that can aptly put romance in the art of communication, interaction, and sharing. There are four ways WeChat can play Cupid for you and your special someone this love season to ensure that your love story gets all the chance it needs to blossom. The voice messaging feature of WeChat is the perfect means to send sweet and personal calls without having to contend with tension and jitters. Should you wish to compile audio recordings of love tracks, a special playlist can be prepared. Nothing beats hearing the sound of a beloved's voice and a video call makes it a lovelier experience. Every moment of our life is a gift and we can share that gift by sharing through WeChat Moments. You can share a photo of what you are doing, eating, or seeing through your eyes. Share your thoughts to your loved ones with the perfect images you have saved. WeChat is all about making the ordinary things we do extraordinary. How do you fancy saying "I love you" with a rain of roses? That is easily done through WeChat and it happens right on your and your loved one's smartphone screens. Definitely the next best thing to saying it face-to-face when circumstances do not permit. When you make use of the WeChat app, you will always be part of its series of activities and surprises. For this love month, WeChat has launched its search for the sweetest snaps of you with your Valentine. A special gift awaits the winner/s. WeChat envisions and innovates new ways for people to connect, communicate and share. A mobile social communication app designed for smartphone users, WeChat is the world’s fastest growing social app with over 100 million registered accounts internationally. WeChat empowers users in fun and dynamic ways by bringing together messaging, social communication and gaming in one seamless, interactive experience, with comprehensive privacy and security settings that can be tailored as needed. WeChat is an all-in-one app that enables users to add friends with several innovative features. These include highly convenient and reliable QR code scanning, phonebook and location-based connection services such as "Hold Together”, “People Nearby” and “Shake.” The platform facilitates social interaction with real-time “Walkie Talkie,” “Voice Call,” and “Video Call.” Supported on data networks and Wi-Fi, WeChat makes it easy to stay connected with friends anywhere, anytime. Users can choose to communicate and share photos one-on-one, or within their closed social network through “Moments”. The popular WeChat Sticker Shop has a variety of fun animated emoticons to express any emotion. Also, with a host of addictive WeChat Games, users can play and challenge their friends on the move, share scores and even find competitors nearby. WeChat is available free for download on Android, BlackBerry, iOS, Symbian and Windows operating systems. The ways of expressing love has indeed become varied. There is a saying that true love is not instant but I dare say it starts with one instance. A look, a word, or a call that is sent and received at the perfect time can evolve into an epic love story that can be told and retold for many generations to come. That said, the greatest tragedy of love is not being able to express it. For those tentative moments of love expression, technology offers options. For keeping the love alive though, take care to send sincere and true messages of love while using the magic of technology for words of love will never grow old. Information contained in the above post has been brought to you in partnership with WeChat. However, all opinions are mine.